Do you ever use your car for business journeys? Do you pay for your own fuel? If so, you may be eligible to claim car mileage allowance whether you are running your own business or an employee. What is Car Mileage Allowance? Basically, you can claim over 45p tax free as a mileage allowance if you use your own car for a business journey. HMRC allows you in most circumstances to claim mileage at a rate of 45p per mile for the first 10,000 business miles in a year and then 25p per mile thereafter. If your employer will only re-imburse you at 35p per mile then you can claim the additional amount as a deduction from your taxable income from HMRC through your tax return or using the P87 form if the value of the claim is less than £2,500. Our 3 Top Tips For Car Mileage Allowance! If you travel with two or more people from the same business, the driver can claim an additional 5p per mile passenger rate for each qualifying passenger. Hooray! So, if 3 of you travel together, you could claim 55p per mile (45p for the driver plus 2 x 5p per mile for each passenger). To qualify, each of the passengers must be employed by, or be an officer of the business. The Cycle to Work Scheme is a tax and NI-free perk; use it to save tax and get fit and claim 20p as the approved mileage rate for using a bicycle! Travel to a temporary place of work still counts as a business journey for mileage claims! You don't need a VAT receipt for parking costs under £25 to claim back the VAT. You don't need a VAT receipt for toll fees under £25 to claim back the VAT. You can claim a tax deduction for parking fines from privately run car parks. If you know of any other great car mileage allowance tax tips that can be shared with our readers then let us know via the comments or through LinkedIn. Don’t be shy about claiming your Car Mileage Allowance from the tax man, and if you need a great way of keeping record electronically, we recommend Tripcatcher. 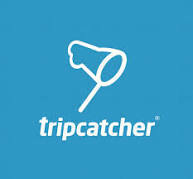 Tripcatcher - Your Car Mileage Allowance Friend! This fantastic system integrates with our favourite accounting system Xero, calculates all your mileage trip by trip, and calculates the VAT you can claim back automatically. And it tells you how many petrol receipts you need to back up your claim each and every time!